for the empire | i r kiamsiap! 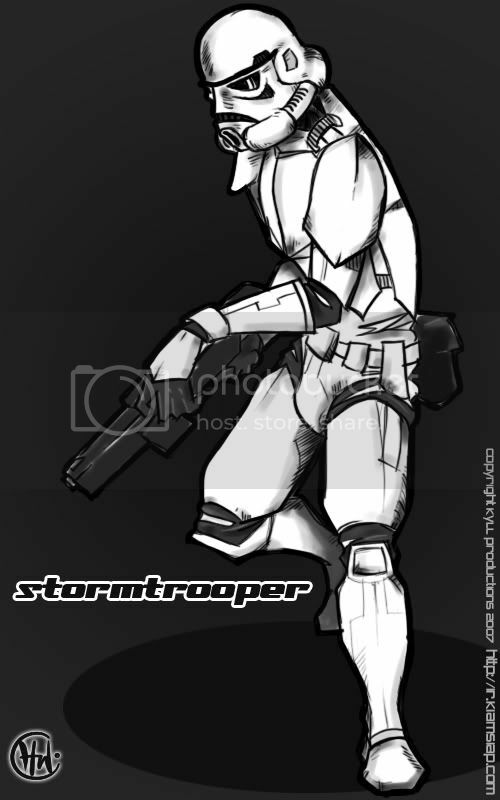 seeing my bosses collection, i got my inspiration to draw a stormtrooper..
had to practice drawing the helmet using references from google images.. and 99% were pictures of cosplayers.. lol. Happy Birthday and Happy 1st Anniversary baby! muaxxxy! hee hee.